Los Angeles (AFP) - Dennis Rodman, a five-time NBA champion and sometime buddy of North Korean leader Kim Jong Un, was sentenced to three years' probation on Monday after admitting drink-driving. 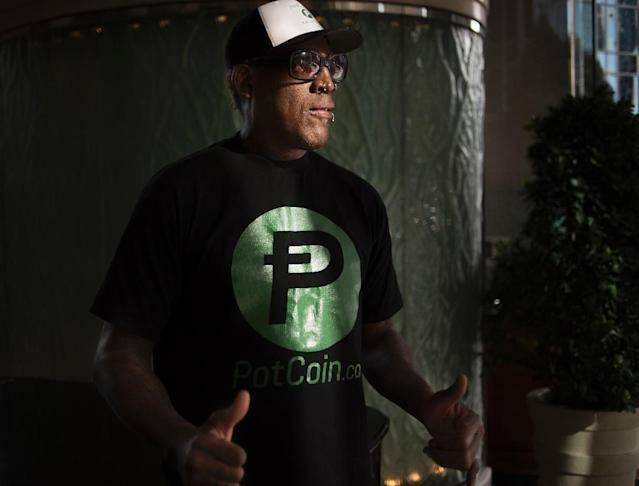 Rodman, 56, who failed a breath test after he was stopped in Newport Beach, southern California, in January for a vehicle violation, was also ordered to undergo a ninth-month first offender alcohol program. "The court made the right call. In issuing the sentence, the court recognized Dennis's intensive inpatient rehabilitation and his commitment to treatment," said Rodman's attorney, Paul S. Meyer. "Dennis has accepted responsibility for his sobriety and has made great progress." Rodman, who admitted two misdemeanor counts of driving under the influence, has already served 30 days in a residential drug and alcohol rehabilitation program, Meyer said. A 90-day jail sentence was stayed, meaning it will not be imposed if he clears the three years of informal probation without violating its terms. Rodman had almost three times the legal limit of blood alcohol when he was arrested, just days after providing proof that he had completed 30 hours of community service over a hit-and-run in July 2016. Rodman, a two-time NBA Defensive Player of the Year, admitted driving under the influence in 1999. He played 14 seasons in the NBA with the Detroit Pistons, San Antonio Spurs, Chicago Bulls, Los Angeles Lakers and Dallas Mavericks before retiring in 2000. Last year, Rodman made headlines when he travelled to Asia hoping to arrange a trip to North Korea in a bid to "alleviate some of the pressures as far as communication between the US and North Korea." Rodman has made multiple visits to North Korea, where he has spent time with Kim -- a long-time fan of the Bulls. "I basically hang out with him all the time, we laugh, we sing karaoke, we do a lot of cool things together," Rodman said in a 2017 British television interview. He is also friendly with US President Donald Trump -- who once fired Rodman on the reality television show "Celebrity Apprentice".